Liz OCull has been a resident of Mexico for over 5 years. 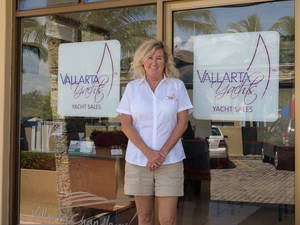 Energetic and passionate about boats and the sea, she will help to sell your vessel or make your dreams come true by finding that perfect sailing or power yacht. She possesses a unique blend of expertise and familiarity with Mexico, making her exceptionally qualified to work with both buyer and seller in a professional, competent manner. Our Location. 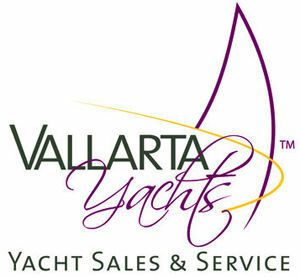 Puerto Vallarta and Nuevo Vallarta are located within the beautiful Banderas Bay on the Pacific coast of mainland Mexico. Our office is located out of the aptly-named Paradise Village Marina (www.paradisevillage.com) in Nuevo Vallarta, just 10 minutes north of Puerto Vallarta’s International Airport. As one of the most popular destinations in Mexico, there are several airlines to service our location from anywhere in the world. We are ideally located to serve all of Banderas Bay’s boating needs. When you come to visit us, we’ll be there to pick you up when your flight arrives and assist to help make your visit a happy and comfortable experience. Give us a call or send us an e-mail!